…and here I am,in the midst of nowhere,burnt by the moonless sky;cold,helpless,tired;lying on my bed waiting for the morning.Waiting impatiently for the first sunlight to see me,waiting for the first drop of dew to fall upon me and dissolve me in itself,for the birds to welcome tomorrow,I am waiting to open my eyes and see my bruises caused by my own hands. I am not sure I was 9 or 10 that time,but it was summer.Yes it was summer,I can smell it,can feel the dust rising from the field.As if I am running;bare feet,to catch my kite. It was the first time,when I saw those dancing fireflies in my garden.Ah! what a beauty.I used to sit near my window for hours and used to watch them dance with their glowing tails.They seemed very happy.I didn’t knew what poetry was, but believe me for that 9-year-old kid,the dancing fireflies were poetry in motion,was his essence of life.! I cannot describe their motion for you,but when ever I feel sad,and close my eyes,I see them glow in front of me,calling me back to those innocent times of my life.I feel them,when I achieve something.When I punch my fist in the air;I stop for a while and see them laugh with me in my happiness,I am also sometimes taken back to the beautiful summer when for no reason I feel on the top of the world. But right now I am chained,chained by the same night,who once showed me the path of happiness.Tonight I am here in the midst of nowhere,burnt by my own hands.Rusted,by my own deeds.Lying expressionless,because of my own expressions and lifeless because of my own greed. I was waiting for the morning,and I am hit by the Sun at last.I am alive once again,for now I have given away all my pain to the same old night. And like those dancing fireflies,I realized.Even I am burning in sorrow.But the beauty of life is to keep dancing,because you never know,somewhere a 9-year-old kid might be gazing at you right now from a window,and that will change his entire definition of life. This entry was posted in life and tagged childhood, fireflies, india, life, summer. Nice expression, could be nicer with little editing…All the best, Shaiwal. You are creative and full of imagination. Thank you so much sir for your feedback…will try to work on that.! this is beautiful. 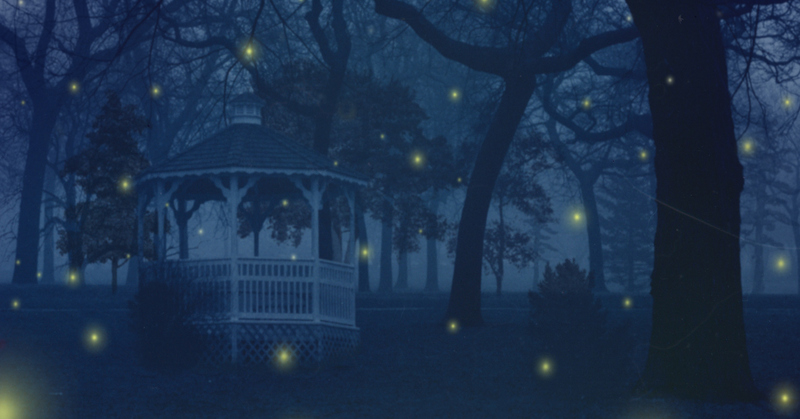 May you have a happy, magical life full of fireflies! Wish you the same lilyboat.God Bless!